Enterprise Shipping Agency, originally called the “Bradshaw Agency” was founded in 1947 and named after Frank Leslie Bradshaw, a British RAF Colonel. 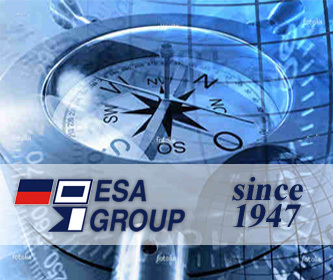 The company has since been operating as ESA in the crew management sector for more than 70 years. Today ESAis the only Italian based “One Stop Shop” in shipping management. ESAprovides for the complete management of all vessels. With the aid of our technical department Norbulk Enterprise Ship Management (NESM) we handle technical and safety requirements according to International standards. ESA’s qualified professionals will ensure you receive excellent consulting services. Our group mission is to support our customers in providing the best vessel management whilst also maximising efficiency and minimising operating costs. 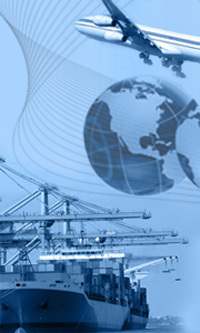 ESA CLUSTER is a dedicated/new department of Enterprise Shipping Agency authorized by the 'Departement of Labour and Welfare’ to work in the national labor market. -operate on behalf of companies, organizations and institutions with the outplacement of redundancy workers in order to not lose the specific expertise and to offer to other companies good opportunities. -to support companies to recruit international candidates and manage Italian candidates abroad. Is the Enterprise Shipping Agency department specialized in the recruitment and management of the seafarers. Through many and various recruitment strategy, researches trained and certified crew suitable for embark on the fleets managed by ESA. Our research is aimed primarily at the management of officers who have completed training experiences aboard or who want to develop new ones. The crews of ships trading internationally, must necessarily carry out communications of navigation and safety with people who may not be able to understand their language. Any type of information should be simple, clear and unambiguous, to avoid confusion and errors. In 1973 the IMO Maritime Safety Committee established English, as an international language. Under the International Convention on Standards of Training for Seafarers, 1978, the ability to understand and use words in the English language is required for certification of officers in charge of a Navigational Watch.. Shipping and Finance: la crisi può essere un'opportunità? Modelli di approccio alla finanza nello shipping e la diversa visione dei player del settore. In occasione dell'apertura della nuova sede in Genova, lo STUDIO CASANI E ASSOCIATI in collaborazione con ESA GROUP presenta il convegno/tavola rotonda "Shipping and Finance: La crisi può essere un'opportunità?"